With riffs that can bring down the house and a voice to shake hearts, Rachelle Coba is a torrential force that sweeps away every audience. With her expertise in string instruments, Rachelle works magic to create amazing musical arrangements. 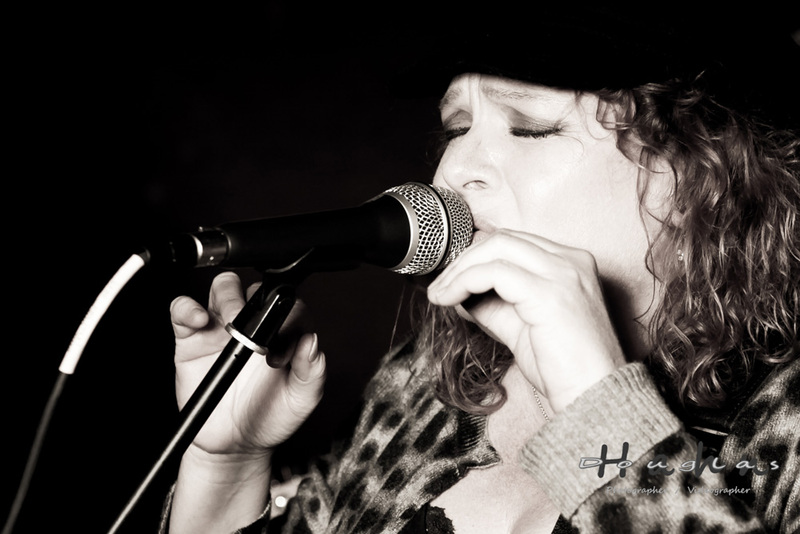 Rachelle has consistently brought the house down to cheering audiences around the world by bringing her own high-powered brand of Blues; from soul, to country, to uptown, onto the stage. Rachelle’s take on the blues is unexpectedly honest and mesmerizing. With her debut CD, critically acclaimed solo release now available, she has recently relocated back to South Florida from Wichita, Kansas. Rachelle has a burning new trio and she is playing to steadily growing audiences in the US and abroad. Miami is where she would make a life-changing encounter with blues legend Buddy Guy. Since then, she has toured and performed with Super Chikan, Albert Castigila, Grady Champion, and Ray Drew. After years of performing in festivals like Chicago Blues Fest and opening for renowned artists as a side-woman, she crafted her own style and formed The Rachelle Coba Band. Since then, Rachelle toured extensively in Australia in 2013, 2016 and 2017, the United States Midwest and the Mississippi Delta and she has been a special guest on the Legendary Rhythm and Blues Cruise. Rachelle was asked to be a part of the 2nd annual BB King Day celebration held by the BB King museum in 2016. Rachelle has played many festivals including Blues at Bridgetown, Juke Joint, King Biscuit, Riverwalk, and Chautauqua Hills Blues Festivals. She was a featured performer in the Blessissippi Blues film in Clarksdale, Mississippi. She has also opened for and played with many notable blues artists including: Dr. John, A.C. Reed, The Cate Brothers, Candye Kane, Earl and Them, Maria Muldaur, Marcia Ball, Bobby Keys. Her debut album, Mother Blues, epitomizes her talent as a solo powerhouse and earned her a nomination for Blues Blast’s Best New Debut CD Award in the same year. With her quartet, she continues to grace the stage as one of blues’ most tenacious guitarists.